A Nigerian guy and his two brides/wives have put themselves in the limelight after their wedding picture surfaced online. 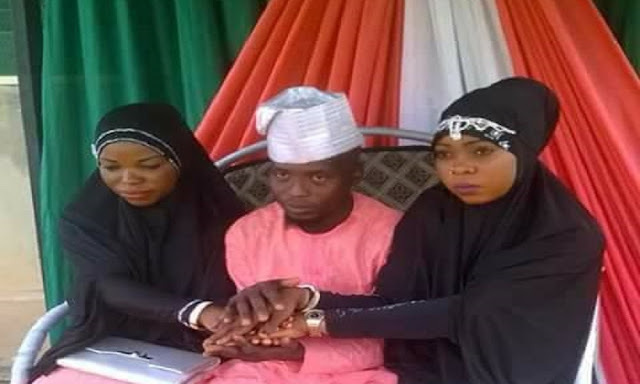 The young man was recently joined in marriage with the two ladies on the same day, according to a report shared by an Internet user. The location of the couple or their wedding was not disclosed. Congratulations to them.